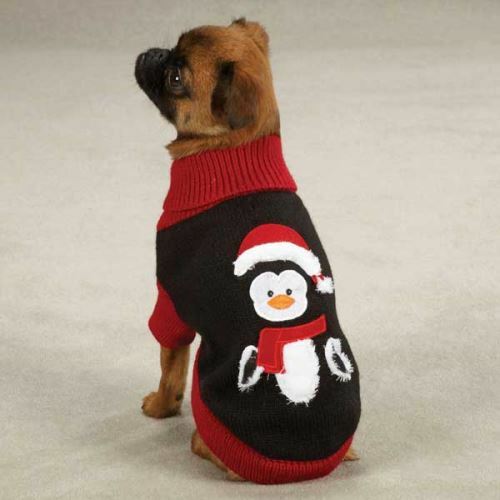 This Penquin Design Dog Sweater is by Zack and Zoey. It is Red and Black in color and comes in smaller dog sizes. This Penquin Design Dog Sweater features a sweet penguin on the front wearing a hat and scarf.